Addit! Pro FSX Utility V761. V7. 6. 1 Addit! Pro For Flight Simulator X Addit! 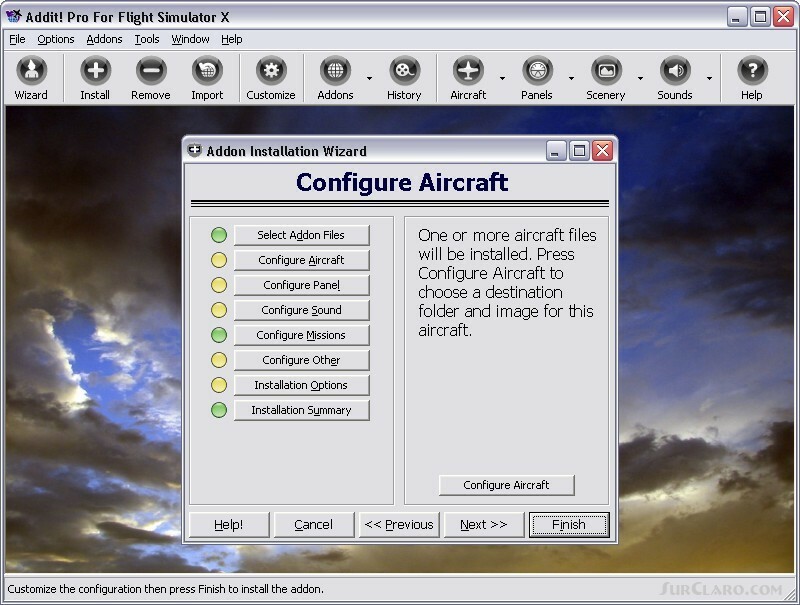 Pro is a comprehensive addon manager for Flight Simulator X. Easily install, manage and remove aircraft, adventures, flights, flight plans, gauges, missions, panels, A. I. airport and facilities data, scenery, sounds, textures, videos, weather and more! Archive add-ons to Addit! Pros File Cabinet or recreate them in zip files. Modify your aircraft, panels and sounds. Automatically update FSs Scenery Library. Includes FS Configuration Manager, complete scenery library editor, ZIP RAR support and much more! See Readme. htm for details. Requires Flight Simulator X. Standard, Deluxe, Gold or Steam Edition. By Joseph Stearns. joseph. stearnsatbyteforge. com.